Mindgeek are a company that a lot of you have probably never heard of, but they are the business that is behind the mega successful Pornhub website, and this week they have recently launched their own VPN app for iOS, Android, Mac and Windows. For those of you who don’t know why you would want to use a VPN or even what one is I will explain. VPN is the acronym for Virtual Private Network. A VPN allows you to create a secure connection to a remote server and then connect from that server to any other website or internet service. Any websites you visit while connected via the VPN will only see the IP address of the server and not your real IP address therefore giving you extra privacy and allowing you to visit websites that are perhaps blocked from your country. It will also encrypt your internet activity and stop your ISP from tracking your internet access. Perhaps as a way of encouraging people to download the app who perhaps wouldn’t want anything to connect them with ‘Pornhub’ Mindgeek have labelled their app under the VPNhub brand. 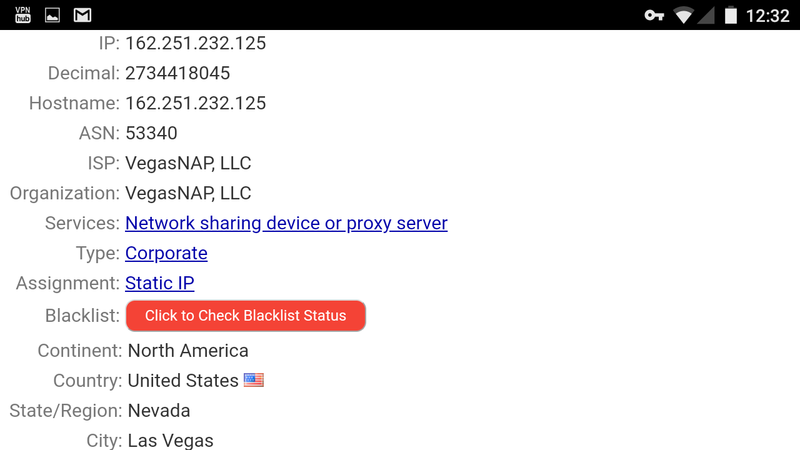 Also just because the app is from the creators of Pornhub that doesn’t mean you are restricted to visiting sites run by Mindgeek, you can you the VPNhub to connect to any websites you want. Mindgeek decided that they were only going to provide a free version of the VPNHub app for iOS and Android. Those who wanted to use it on Windows or MacOS would have to pay for the premium versions. Well that is not entirely true as you can get around this restriction to use VPNhub free on Windows, MacOS, Linux or any other operating system by downloading the VPNhub and one other app onto your phone. I will give some step by step instructions on how to do it below. These instructions are assuming you are using an Android device, I do not have an iPhone or iPad to test it with. 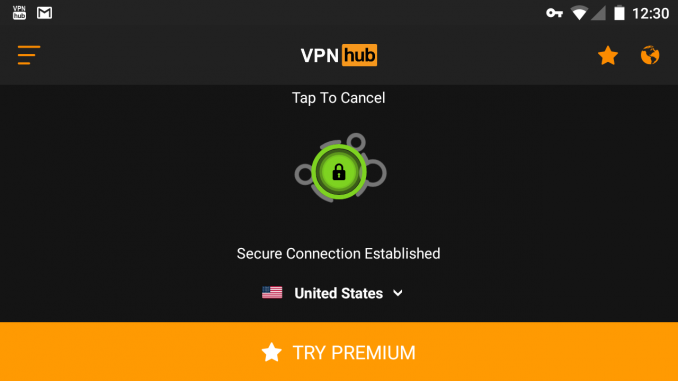 To be able to connect your computer or laptop with Windows or MacOS through VPNhub without paying for premium you need to download an extra app onto your Android device. But before doing that disconnect from VPNhub. Go to the Playstore and download Netshare no root tethering (The app is free but will only work for a set amount of time before you need to restart it unless you purchase it) There are similar apps in the app store but i have not tried this technique with those. Open Netshare no root tethering app on your Android device and it should look similar to the screenshot below . You then go to your other device such as Windows PC or Mac and connect to this new WiFi network. 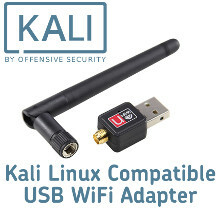 Although you are connected to the new WiFi network you won’t be able to go online from your Windows, Linux or Mac computer yet as you will need to configure your browser to use the proxy server setting given on the app screen. The instructions of setting proxy server setting are slightly different depending on what browser you use and what operating system runs on your computer, so if you are unsure on how to set the proxy settings do an internet search for how to set a proxy for your particular browser. Once you have set the proxy settings verify you can access the internet from your computer by visiting a website. If at this stage you are unable to connect then go back and check your setting are all ok. 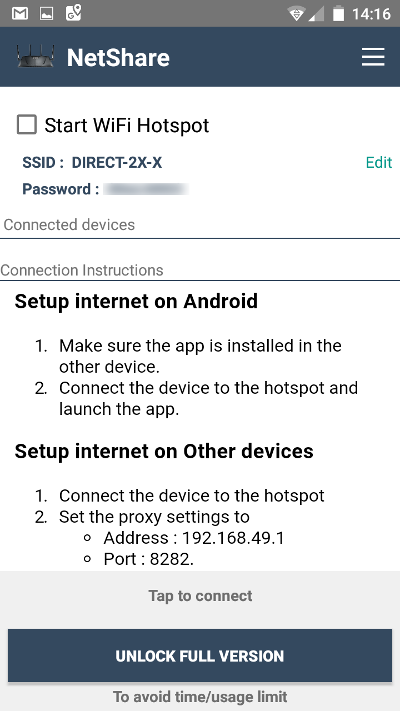 Assuming you are able to connect to websites from the computer through the hotspot you know can go back onto your Android device, open the VPNbub app and connect to the server. Launch the browser on your computer and open the website https://whatismyipaddress.com and once the site has loaded check the IP address that it detects you are connected from. If the IP address is showing that of the VPNhub servers you have successfully connected to VPNhub for free from your Windows PC without having to pay for the premium app.